This week is all about helping kids and ensuring children’s hospitals have the funds they need to care for more than 10 million kids a year. Government and insurance programs don’t begin to cover these costs; that’s why donations are vital to children’s hospitals. Meet inspiring kids whose care isn’t possible without donations. Be entertained. Be surprised. Be inspired. 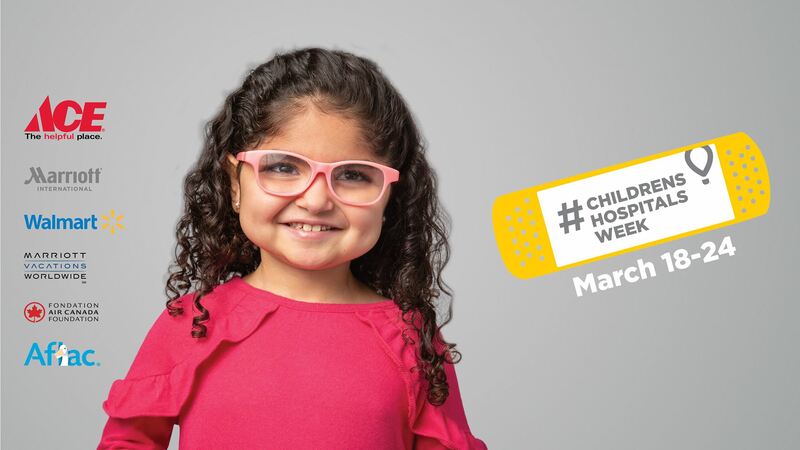 How can I help Children’s Miracle Network Hospitals? Since 1983, Children’s Miracle Network Hospitals has raised more than $5 billion dollars, mostly a $1 at a time. Our various fundraising partners and programs support our mission to save and improve the lives of as many children as possible. Here are ways you can help: Donate. There are plenty of ways to donate to Children’s Miracle Network Hospitals. Options include everything from online donations to donating your SkyMiles. Miracle Balloon Icon. Click here to see what partners for your local CMN Hospital are doing in your community to help kids. We take pride in keeping funds within the community in which they are raised. We give donations to local hospitals. They know where the need is greatest and decide how that money is best spent. These donations have gone to support research and training, purchase equipment and pay for uncompensated care. When a donation is made online, the donor's postal zip code is entered into our database to locate the Children's Miracle Network Hospital in the donor’s community. The donation is sent to that hospital and that hospital acknowledges the donation with a tax receipt. In order to be affiliated with Children's Miracle Network Hospitals, each hospital must have a full-time Children's Miracle Network Hospitals’ program director who ensures that all funds and programs are administered correctly. Donations given stay local and go to support the needs of our 170 member children’s hospitals where they are needed most. These unrestricted donations are often used to fund critical treatments and healthcare services, pediatric medical equipment and charitable care. Donations help support our mission to save and improve the lives of as many children as possible. Why does my local children’s hospital need my support? Our member children’s hospitals are available 24 hours a day to help kids of every age and background overcome every injury and illness imaginable. These children’s hospitals are also on the front lines of preventing disease and injury through research, education and outreach programs that keep millions of kids out of the hospital each year. This year, Children’s Miracle Network Hospitals’ members will provide $3.4 billion in charity care alone. How can I update or cancel my donation? To update or cancel your donation, please send us an email via our contact form or call 801.214.7400. To make a donation, please click here.